Personalized health is about knowing exactly which foods, exercises and lifestyle are ideal for you as an individual – the choices that will help you thrive. To put it simply, your genes plus your environment and lifestyle equals what you see in the mirror today – you! Each of us has a unique set of genes, and even two people with the same genetic material (identical twins, for example), can develop differently if they grow up in vastly distinct environments. This is because of Epigenetics – the study of external influences on gene expression. When you know the specific foods, exercises, daily patterns, and even social habits that keep you in optimal health, you are free to eliminate what doesn’t work. Personalized health is unique and specific to YOU. It considers your genotype, your phenotype, your neurotype, and even more specifically your environment and lifestyle factors at each and every precise moment. If we can leverage epigenetics, we can control the way our genes express. This means you now have the choice to take control of your life and reshape your future. Our amazing team of scientists, medical doctors and specialists in physiology, endocrinology, neurology and anthropometry have spent the past decade developing a solution that does exactly that. We call it ph360, personalized solutions for 360 degrees of every day. ph360 is the world’s first personalized health platform based on epigenetics. It uses 10,000 data points and 500 ratios to analyze your genetic expression so that it can tell you exactly how to use factors in your everyday life to get and stay healthy. The algorithm has been in the making for the past 16 years and uses a base of 15 different sciences to calculate your Personal Health Code. We’re seeing people lose weight and keep it off when they’ve never been able to before, be rid of digestive issues, and even the reversal of diabetes symptoms and chronic pain. All simply from finding out that Personal Health Code that is already inside your body and putting it into practice. 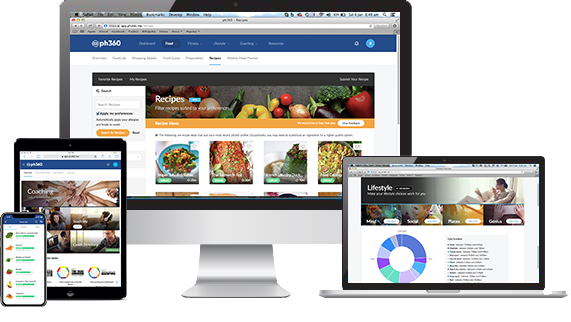 Get more from life with ph360! 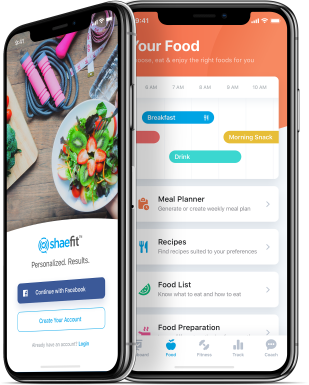 Shae is your interactive virtual health assistant that literally manages your daily health choices – what foods to eat, when to exercise, even the best time to go to sleep. Shae uses advanced health algorithms to match the outside of your body with your internal health, to give you accurate recommendations, in real-time, 24/7. The best thing? Shae makes putting it all into practice effortless. Learn more about Shae! ShaeFit is tailored specifically for Gyms, Health Clubs & Personal Trainers. Focused on helping members achieve the best physical performance, whether it’s to lose weight, get the next PB or simply maintain optimal body form and condition, ShaeFit is everything members need to get and stay in top shape in the unique way that’s healthy for them. Get into ShaeFit! ShaeWellness gives your staff their very own User Manual for Optimum Health. Managers gain unprecedented insight into effective motivation and communication techniques for solo and group work. Executives learn how to create the ideal environment for a healthy, balanced workforce to thrive. What does it do? ShaeWellness simply and effectively incorporates personalized epigenetics into life at work. We’re finding teams are communicating better, being more productive and improving overall morale because they genuinely feel better and better equipped for their jobs.Change the time of day that your team has meetings and it increases productivity; adjust small features of the workplace like desk direction or privacy and it changes morale, even a small change to start times can overhaul performance. That’s because finding the right epigenetics to stimulate an individual’s genes creates a healthy, well functioning and productive team. Get in touch with the ShaeWellness Team.